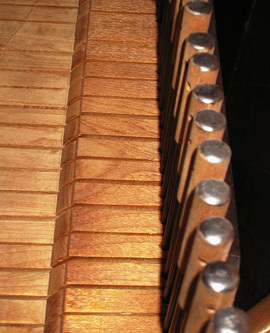 Janssen Piano Services represents some customers in the sale of pianos. 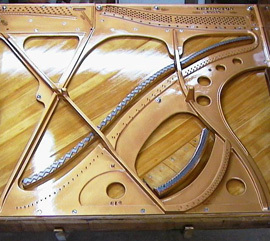 I have personally inspected and evaluated all pianos listed on this site. Our professional evaluation is available to parties who have a genuine interest. The pianos continue to reside in the sellers' home. Please contact us if you are interested in seeing a piano listed below; and we will make the necessary arrangements with the seller. 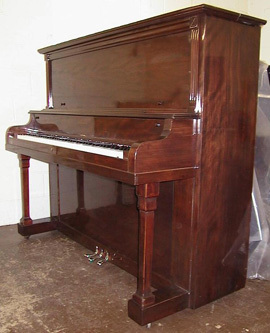 We may also know of pianos for sale not listed on this site. 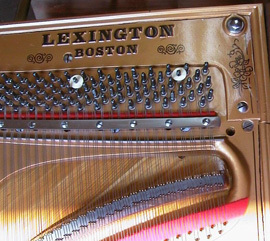 The Lexington Upright piano was built in 1932. I completely rebuilt and refinished it in 2006-7. It has all new strings, new hammers, dampers, new keys. All felt and cloth and leather parts have been replaced. The finish is a beautiful high gloss mahogany color. If you want a piano with a full, rich, warm, mellow sound, you will love this piano.